This South Florida retirement communities page is page two of Florida Retirement communities. This area is known for its warm tropical climate. New Boca Flores - Now pre-selling. Small Del Webb community of carriage homes and villas in upscale Boca Raton. Starting upper $300's. New Valencia Bay - Newest Valencia resort 55+ community by GL Homes in Palm Beach County. Large single homes from low $500's. Luxury amenities. Main pool and grandchildren's pool, social activities with Director and more. Impressive entry with water jets. 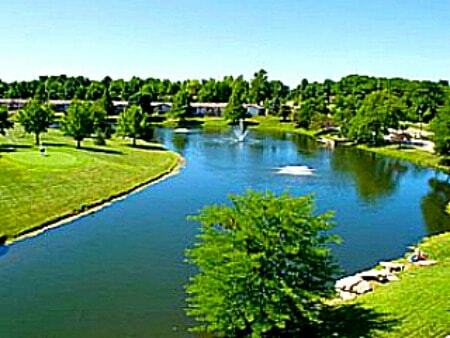 Fisherman's Landing - Over 55 boating community with ramps and rentable docks - smaller homes and villas than usual for this area for a comfortable senior lifestyle. Amenities include pool, clubhouse and outdoor recreation. Lower H/O fees. Near North County Aquatic Center for more water activities. Minutes to beach. Jonathans Landing - We list this community because it is a large community and one of Florida's oldest golf and waterfront communities offering many lifestyle options with smaller condos. Lots of golf in community and area. On 600 acres. 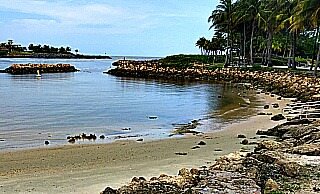 Jupiter Bay - Another not age restricted choice in Jupiter - we list this for your consideration because there are numerous small 1- and 2-bedroom condos which would fit those looking for 2nd homes, rentals or permanent living in the low $100's near the water and shopping and dining. High investor ownership. Lovely, in demand and upscale area in Palm Beach County. Windjammer at Baywinds - Price-$$, Size-Master-planned community - Developed by Lennar - Located in master planned community of Baywinds. Coach homes in community with Manned gatehouse and short drive to I-95. Cypress Trail Condos - 3430 Cypress Trail - West Palm Beach - Minutes to I-95 - 2- and 3-bedroom apartment-styled with pool, tennis and golf amenities. Starts low $100's. Only 2 communities found in the popular town of Wellington, also known for its population of equestrians. Buena Vida Wellington - Upscale, resort-like, gated community with 24 hour security office. Near shopping, freeways and medical services. Beautiful landscaping with oval pool surrounded by palms. Mayfair - Southshore Blvd at Forest Hill Blvd - Built in 2006 - 112 3-bedroom mediterranean-styled townhomes and coach homes - electronic gate. Clubhouse and amenities. Walk to shopping. Another beautiful and upscale area in Palm. Bellaggio - Price: $$-$$$$$ - Now Sold Out - Luxury guard-gated community of large, mediterranean-styled, single homes amid meticulous landscaping with many amenities to enjoy the Florida lifestyle. By Ansca Homes. Hypoluxo Road and Lantana Road near State Road 7. Short drive to Atlantic beaches. Villagio - Resales Only - 538 single-family homes By Ansca Homes. Very popular area for retirees and has the most communities. See a review of Boynton Beach. Valencia Cove - Luxury community by GL Homes - Were priced from $400's to $700's. Close to everything in Palm Beach County. Popular community selling well. 561-738-5100 - 9288 Lake Royal Rd. Valencia Reserve Boynton Beach - GL Homes resort-styled community - Price: $$$-$$$$$$ - Clubhouse, amenities. Sold out. Avalon Estates - Gated and guarded featuring a large clubhouse, tennis, pool, and activity director. 365 homes Large homes on either zero lot lines or full-size lots. Low $300's. resales - landscaping features lots of palm trees and meticulously groomed lots. Many homes with mediterranean roofs. Hagan Ranch Rd. between Woolbright and Atlantic. Cascade Lakes in Boynton Beach (Pelican Cove Dr.) - Guard-gated community of 600 single homes and 8 lakes. Clubhouse, pool, spa, tennis and more. Coral Lakes Boynton Beach on 580 acres and 15 lakes - looking for a resort feeling - 72,000SF clubhouse, 7 pools including indoor and outdoor pools, activities and much more in upscale community on Jog Rd. Resale or leased homes. The Grove West Boynton - 501 single family and coach homes - recreational amenities and activities. Guard-gated. Estate homes and coach homes. 10 Lakes - Boynton Beach Blvd. 14 mile west of Hagen Rd.- 561-733-8746 for more information. Grove Isles Boynton - small guard-gated community of 125 single homes with recreational amenities - pool, and tennis. Lakeridge Falls - Boynton Beach - spacious resale homes started in $200's - A gorgeous guard-gated, waterfall entry will take you to non-equity golf, pool, clubhouse. Many with views. Lakeridge Greens Boynton Beach - Gated community on the west side of Jog Rd. - value-priced homes in low $200's. Majestic Isles - Boynton Beach - gated community of 450 homes with 16,000SF clubhouse and activities in resort environment. Mizner Falls - gorgeous lush landscaping and 225 spacious homes - elegant entrance - all the amenities. 7200 West Boynton Beach Blvd. Royal Lakes Boynton Beach - Royal Club Dr. - small community of 168 homes with pool and more. Tivoli Lakes - Resales start approx. $200's - 324 homes in European style including some estates. Clubhouse, fitness, pool, tennis and more. by Castle Management. Tivoli Reserve - Boynton Beach - spacious homes start in $300's - 220 singles - estate sized-lots - active adult 80/20 community means 80% of community must be over 55 - if this requirement is met, they can sell to buyers under 55. Check with community to see the status of the rule. Clubhouse, pool, tennis. Palm Isles - Boynton Beach - Guard gated community featuring six floorplans. Community clubhouse and amenities. Ph: 561-369-2995 - 9545 Palm Isles Dr. - contact local Realtors for resales. Palm Beach Leisureville - Boynton Beach - Very convenient to South Florida cities of West Palm Beach, Fort Lauderdale, Boca Raton and Delray Beach and 2 airports. Large reasonably priced community with many amenities including 18-hole golf course. Cascades Boynton Beach - Single homes with luxury amenities including pool with lanaii, clubhouse. Cascades Cafe for breakfast or lunch. Lushly landscaped with palms and waterfall entry for a resort environment. Ponte Vecchio - Boynton Beach - Now Sold Out - Resort guard-gated community of single-level homes in luxury environment. Pool and clubhouse, tennis, activities and more. Ponte Vecchio West - Boynton Beach - Now Sold Out - Gated luxury community of 253 homes. Indoor and outdoor pool, an outdoor spa, tennis courts, and a full-time social director. Tuscany Bay Boynton Beach spacious homes in $200's. Venetian Isles - Guard gated community of 1060 homes and villas. Located off Lyons Rd. Enjoy shopping in Boynton and West Palm Beach areas. Aqua track walking pool, olympic-sized pool, internet cafe and more. Many communities for over 55 in this area are located along Jog Rd. and also Hagen Ranch Rd. See several resale communities by GL Homes - their over 55 communities are called Valencia. Contact them or local Realtors for more information on Valencia. Valencia Palms by GL Homes - South Del Ray Beach - Price-$$, Size-Medium - Resort Style - South Del Ray Beach - South Palm Beach County. By GL Homes. Resales. Valencia Falls - Over 700 homes sold in a guarded and gated community on Hagen Ranch Rd between Atlantic and Boynton Beach Blvd. The lushest landscaping beautifies this community filled with activities. 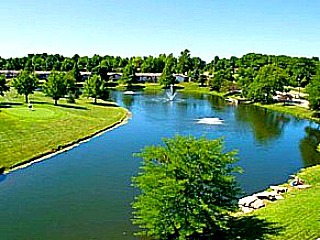 Floral Lakes - Gated community with resort amenities. Villa Borghese - Sold Out - Over 600 single-family homes in a gated community with resort amenities. Lush landscaping and miles of walking paths. Bet Jog Rd and Hagen Ranch and Lake Ida Rd. Vizcaya - Over 500 single homes in gated community starting in mid-$200's. Located on Atlantic Ave, 1 mile from Florida's turnpike. Delray Villas - Between Lake Ida Rd and Via Delray off of El Clair Ranch Rd., Delray - 491 single or duplex villas - non-gated community keeps fees low - 2 clubhouses, activities, heated pool and lap pool and more. Sold out. Maranatha in Boca Raton - Small condo community built in 60's priced under $100,000's. Three 2-story buildings of one-bedroom units. Owner occupied units due to no renting is allowed. The Atlantic ocean is one mile east. 20 miles to international airports. Mizner Falls shopping. Four Seasons at Parkland - in Broward County by K Hovnanian. Around 700 single homes for 55+ on 100+ acres on the south side of Loxahatchee Road in Parkland near Coral Springs (please verify all information). Homes pricing starts upper $400's for large homes from 2000-3600SF (verify square footage). Open Daily. Approx. 12 miles to the beach and less than an hour to Miami. Clubhouse and amenities. Wynmoor Village - Coconut Creek near Fort Lauderdale and Coral Springs - Previously Leisure World at Coconut Creek - Very large resale condominium community with many outstanding amenities and golf club. 6 miles to beach. See local Realtors. Note: CCRC's (continuing care retirement community) usually require an entry fee plus monthly fee in return for lifetime care. You start out with a fully independent lifestyle, and, if needed at any time in the future, there is assisted living and nursing available to you. Always check the financial stability of the community and read contracts carefully. Verify all information as it can vary with community. 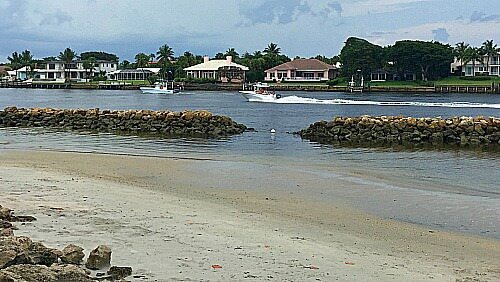 Not pretentious and more affordable than its neighbors, Coral Gables, Miami or Ft. Lauderdale, the smaller city of Pembroke Pines in warm southeast Florida may have what you're looking for: Southern Florida lifestyle--good base for fishing, boating and all water sports. A few minutes to the ocean amenities of South Florida. Hollybrook Golf and Tennis Club - Pembroke Pines - Price: $-$$ Resale Condominium apartments - Resort-styled community with free 18-hole championship golf (verify), pool, clubhouse and more. For travelers, the Pembroke Pines area is between Fort Lauderdale and Miami, near 2 airports and cruise ship ports. Also, seasonal rentals listed on their website. Century Village Retirement Community - Pembroke Pines Price-$ to $$, Size-Large - Pembroke Pines - Large gated older community with resales only. Variety of home styles. Also see their other community locations in Florida shown on their website. Gateway Terrace - Studios and 1-bedroom subsidized apartments. Waterfront community with pool, barber/beauty shop, country store and more. Beautiful location overlooking waterway. Section 8. 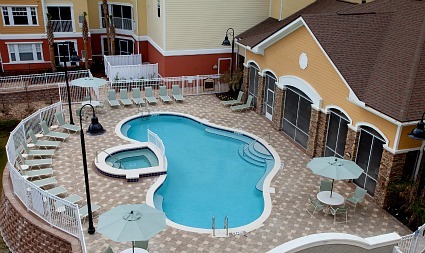 Forest Trace - Gated, luxury, resort-style rental living - 1 and 2-bedroom apartments - assisted living available. Housekeeping included in monthly rent. 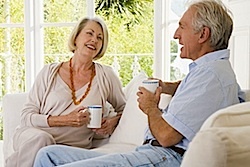 The Palace Group Luxury Rental Community - Miami in Luxury rental community for active seniors. Independent living. The Palace at Coral Gables - Very luxurious community on the Golden Mile in Coral Gables. Minutes to ocean and upscale shopping at the Miracle Mile. 240 studio, 1 and 2-bedroom apts. East Ridge Retirement Community - Miami - Old Miami on 76 acres, 24-Hr gated community, apartment homes, assisted living available.